SoundSysters is a berlin based feminist sound crew started in 2013 by Lola and Eddy. Today in 2018 the crew has grown – we are 10 people now running this project, still trying to change the sound world! You can book us to organize and set up your party and/or concert. 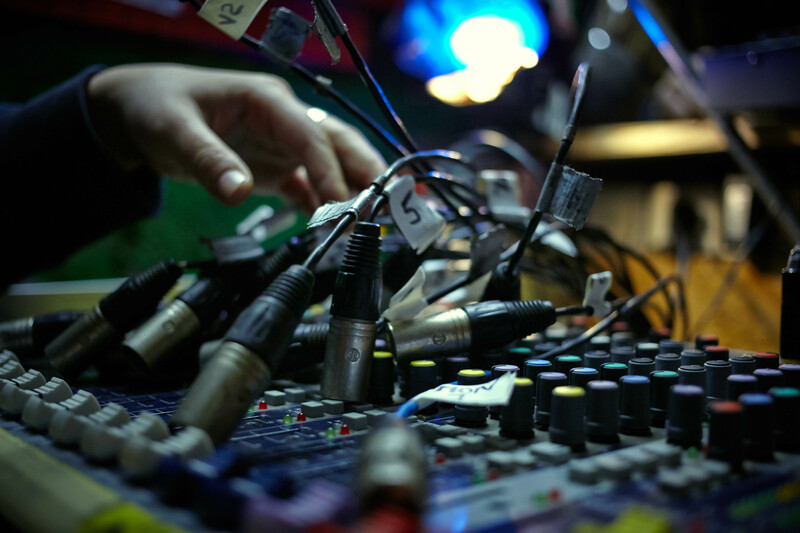 We can do the live sound during speaches, demonstrations, concerts and shows. We can do recordings, studio mixes and design the sound or even the whole music for your movie. We want to encourage other people to work in the sound world with us. Therefore we give workshops on how to use the sound equipment and how to build up a pa.
We also offer dj*ing-workshops and a first step recording workshop! !